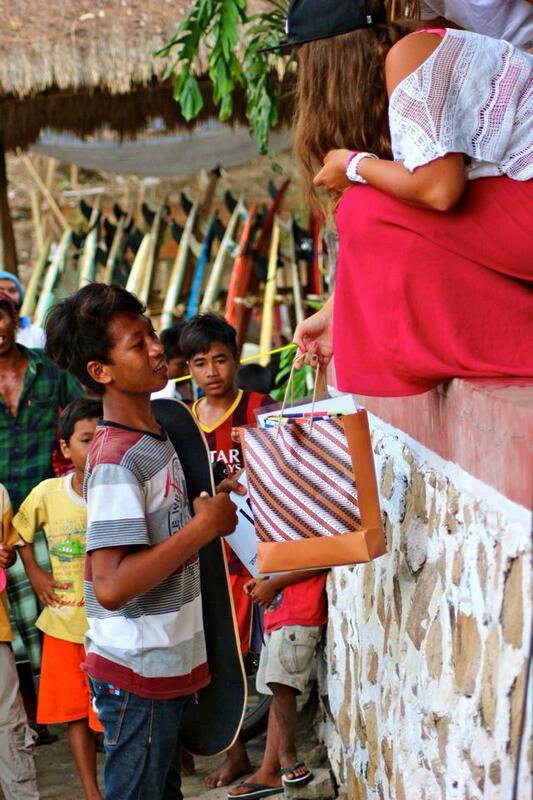 We are very happy to announce that one of our senior students, Dani, has received a skateboarding sponsorship!! 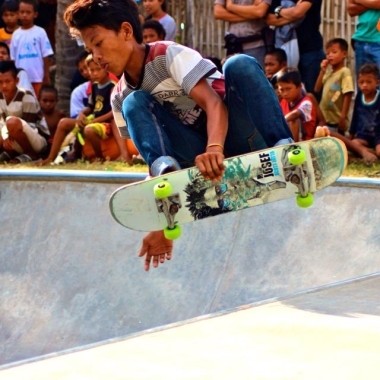 Pelita Foundation has partnered with Pool Skateshop in Mataram (Lombok’s capital city) to provide Dani with financial assistance to continue his formal education (Dani has just started senior high school), as well as skating equipment and some possible future trips to join skate competitions around Indonesia! 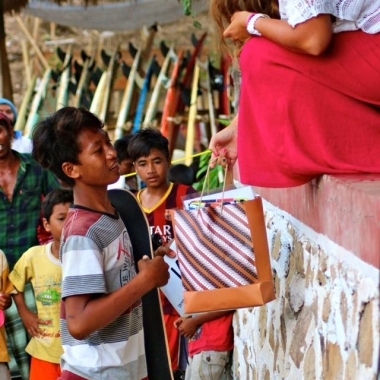 Dani was the winner of Surfcamp Lombok’s annual Sk8 Competition last year, winning against older skaters from all over Lombok and Bali! 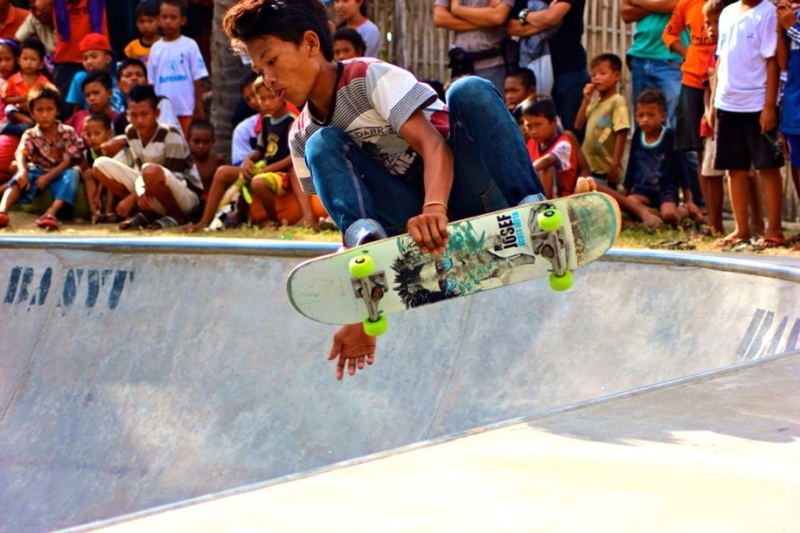 He learnt to skate BAREFOOT, and is now proving to be a big talent in bowl skating. 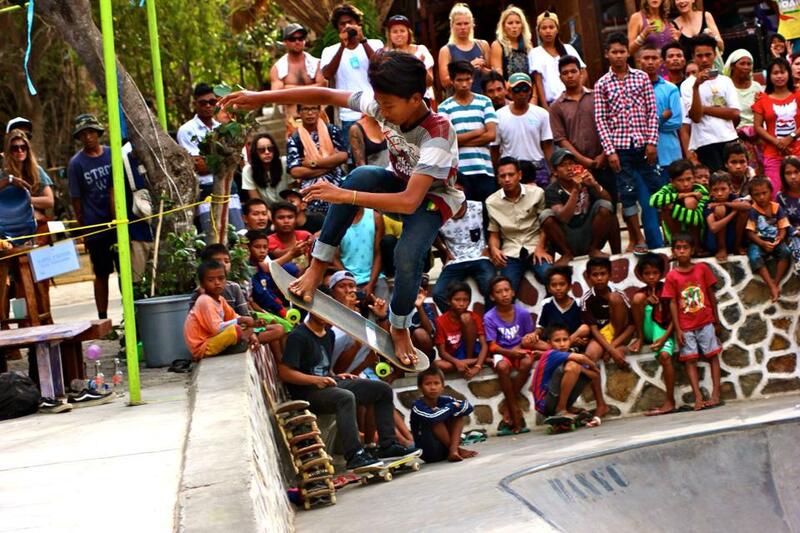 We wish Dani all the success in his schooling and his skateboarding career!